This map shows the 100 most recent visitors from a website. It's simple yet informative. Rather than loaded with heavy data with complicated options like other analytics tool, we just show you the most recent 100 visitors for you to get an understand of your web traffics stats at a glance. This tool is useful especially for marketing, security, search engine optimization, and many more area. And, this tool is absolutely free for everyone who wish to learn more about their visitors and where are they coming from. It takes less than a minute to set up the map tracking. All you have to do is copy and paste the following link onto your web site. No registration or personal information required. That's all! Your site visitors will think it's the coolest thing they've ever seen. How can it be this simple? The button links your visitors to our map page, personalized with your domain name. We use the HTTP referrer to determine and log the referring domain for each visitor, so we're able to show only those visitors who have come from your site. Making these maps is actually pretty easy for a competent programmer. We are using the Internet Geolocation database sponsored by IP2Location™. 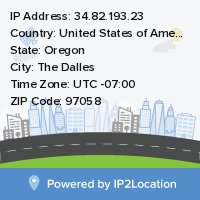 When a visitor comes to your web site, our server takes their IP address and searches the IP2Location™ database to find their latitude and longitude. Once we have the visitor's latitude and longtitude, it is passed along with the 100 other most recent visitors' coordinates to generate a map. We then display the map on this web page. You might want to learn more about the IP2Location™ database to see if a tool like this would help you in other projects. For further assistance with installing IP2Map™, please contact [email protected].